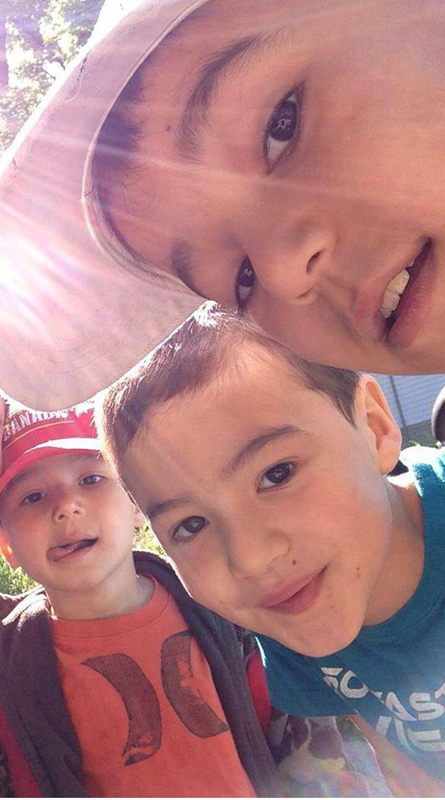 deadbeatmom lives in Toronto, Canada with her deadbeathusband, deadbeat cat and deadbeat boys aged 9, 7 and 3. Her dream is to wake up to a spotless house well-rested. Keep it civil and courteous, smart and sassy please! All material in this blog, unless otherwise attributed, is copyright of me, deadbeatmom. If you copy my work, please attribute and link back to my site. If you copy without attribution (interns be warned, I’ve fired a few of you for doing this), I will find you and make you babysit for me! well, it has come to this….. we have a baby and it all falls to stink doesnt it? looking forward to more..
in all honesty do moms breastfeed till the age of 15 for any other reason than to burn those precious 500 calories so they can justify the 1500 extra calories they ingest daily? Lets be real- its the only reason I have actually contemplated it..except for the fact the two sorry sisters would be hanging around my knees. Would somebody call child’s services for god’s sake!